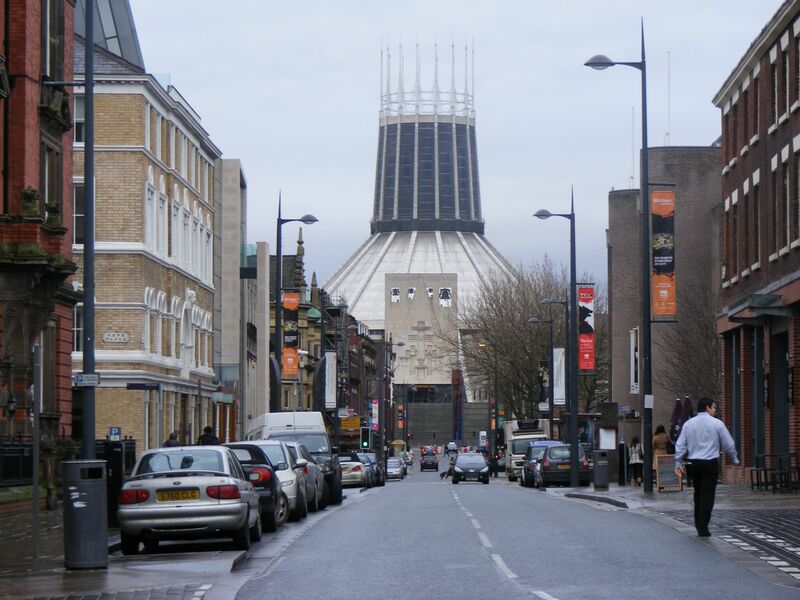 Hope Street is one of Liverpool’s most famous thoroughfares. Most people assume its name refers to Hope. The reality is more prosaic. It’s named after a merchant, William Hope, who built and lived in a house that stood where the Philharmonic Pub now stands. Nevertheless, over the coming months we’ll be looking at Hope Street as it is today and as it was. The stories are many and fascinating – from the history of the Workhouse to the bodysnatchers who sent corpses to Scotland. Almost every brick and paving stone has a story to tell. Also the many side roads off Hope Street are part of Liverpool’s history. Mark said he had seen in the Daily Post an article about the Masonic Hall on Hope Street opening its doors for the first time to the public. It’s a Grade II listed building. You can see a slideshow and read the article here. Thanks to Jane for the photograph of Hope Street.